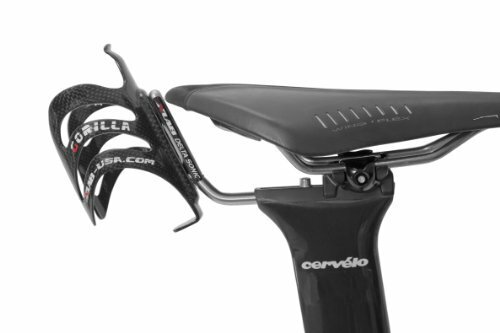 Working closely with Cervélo and their wind tunnel testing results, XLAB developed an aerodynamic single rear system specific to Ritchey clamp seat posts found on the Cervélo P5, Scott Plasma and Kestrel triathlon bikes. The DELTA SONIC rod can slide along the seat post for the best customized fit for you. This bag mounts to the top tube on the 2 bosses. Capacity of 20.4 cu.in, this bag can hold the longest energy bars plus some gels and salt tablets.